If you like to see and hear President Noynoy Aquino's speech about the abolition of PDAF, you may watch the video below and do your opinion or comment about the Priority Development Assistance Fund (PDAF). 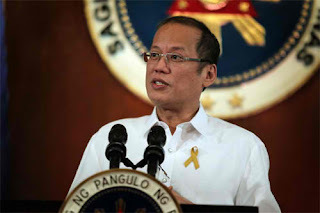 You may read the tagalog transcript / full text of President Aquino’s speech, and here the English translation. Comments or suggestions about "Watch President Aquino's speech on the abolition of PDAF (Video) | No to Porl Barrel System" is important to us, you may share it by using the comment box below.